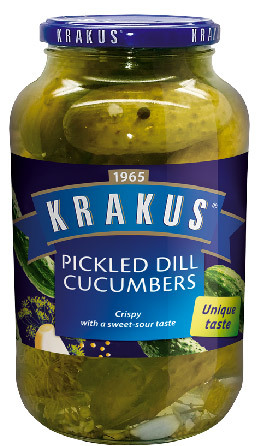 Krakus Baby Gherkins are distinguished by the fact that only fresh, little cucumbers are used to produce them. They are easily identified from others because of their taste, freshness and exceptional crunchiness. All these features are possible due to the special, sweet pickle with an exceptional mixture of spices such as dill, garlic, horseradish, allspice, black pepper in grains and a big portion of mustard seeds which are a sophisticated reverse towards the sweet pickle taste. 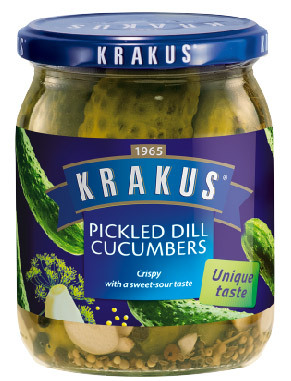 Krakus baby gherkins are an ideal snack and additive to dishes for every occasion. It is possible to enjoy them with family, friends, alone or with company. The delicious taste of Krakus is perfect to accompany all kinds of meals.